CHILDHOOD stunting is the physical manifestation of profound mental and developmental delays in growth. Technically, it is defined as the height for a child’s age below the fifth percentile on a reference growth curve. However, it can blight the future of a child as it lowers educational attainment and job earnings. Stunting affects a massive percentage of the world’s youth: nearly half of all children are stunted in Pakistan. Apart from particularly impaired cognitive development, stunting has staggering implications in other arenas; for instance, the GDP of countries is measurably lower. Stunting echoes undernutrition during the most critical periods of growth and development in early life. It starts from pre-conception when an adolescent girl, who later becomes a mother, is undernourished and anaemic; it worsens when the diet of the infant is inadequate or poor. It is only in the last decade that research has shown that a well-known link between a physical marker such as height and a lifetime of chronic undernutrition was also related to weakened immunity, impaired brain development and developmental delays. In later life, this leads to increased risks of obesity and non-communicable diseases, such as diabetes and heart diseases in adulthood. In the long term, stunting has been shown to be the best predictor of human capital, impacting economic productivity and development potential at the national level. The economic cost of undernutrition is significant both in terms of lost national productivity and economic growth. Studies show that adults who are stunted as children earn 20pc less than those who are not; they are 30pc more likely to live in poverty, and are less likely to work in skilled labour. While the human and societal costs of stunting are large, the costs of addressing the problem proactively are small while the benefits are dramatic. Research shows that it is not just a lack of calories, or vitamins and minerals, that cause stunting. In fact, causes of stunting can be attributed to repeated cases of diarrhoea, drinking unclean water, lack of proper early stimulation, inability to buy nutritious food, anaemia in mothers, early marriage leading to early pregnancies, decreased nutrient value of crops and a whole host of non-nutritional factors. In terms of magnitude, Pakistan has a serious problem with stunting with the third worst rates in the world — with 6pc of global cases, nearly 10 million children are affected. A huge proportion of these cases are considered severely stunted. To some extent, this situation has evolved because Pakistan has been fighting the other critical nutrition issue, starvation — technically called wasting. Limited nutrition funds are naturally focused on saving the lives of those children most at risk of dying. However, a decade of efforts has not prevented the problem and this has created chronic malnutrition that leads to stunting. The sheer knowledge that this cannot be reversed makes it critical that stunting be prevented through well-timed interventions. We must start by focusing on what is called the ‘first thousand days’ — that is the time from conception of a child to two years of age. In this period, stunting is preventable and reversible. If fast reductions in stunting are to be achieved, the focus must be mostly, if not all, time and budgets included, on a handful of activities that have immediate effect on pregnant women and their babies during this period. Nutritionally, it is important that pregnant women take iron, folic acid and multivitamins. By ensuring that women take iodised salt, breastfeed within one hour of birth and then only provide breast milk to their babies for the first six months — nothing else, no formula, no goat’s milk and certainly no water — we can help children get an early start in life. Another critical factor that weighs on the magnitude of stunting is hygiene and sanitation, which largely affects the household environment. It can be as simple as handwashing with soap before preparing food, after changing a child’s diapers and after using a toilet. Beyond these measures, longer-term planning can mitigate the issues leading to stunting in the first place. For example, improved crop yields and crops with higher nutrient content, income support programmes for needy families, early childhood education programmes, full immunisations for all, widespread treatment of diarrhoea, clean water and latrines, to name just a few. Pakistan faces a colossal challenge given the absolute numbers of children afflicted by stunting. But it can remedy this situation so that by 2030, stunting is a relic of the past and no longer haunts our generations. 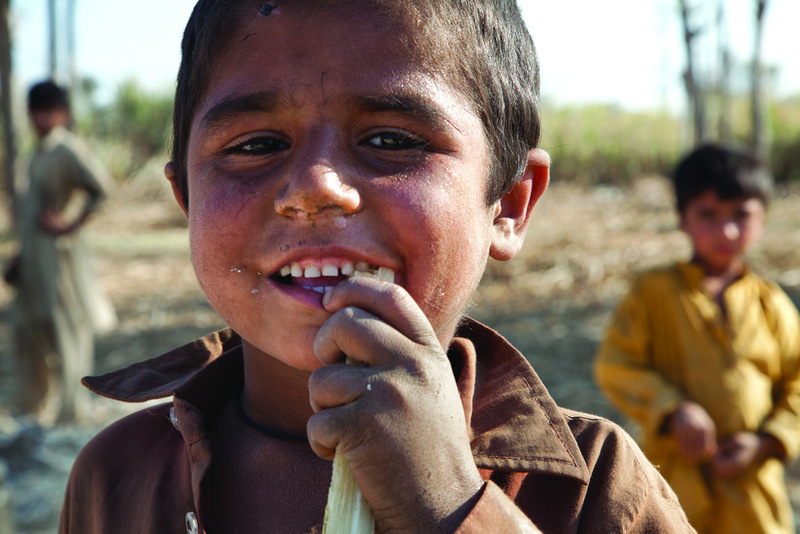 Therefore, improving child nutrition is one of the best and most critical investments that Pakistan can make. Angela Kearney and Michel Thieren are country representatives for Unicef and WHO. Patrick Evans represents FAO and Stephen Gluning is acting country director for WFP. This article was originally published in Dawn, January 5th, 2017. View the original article.